Plant drawings. 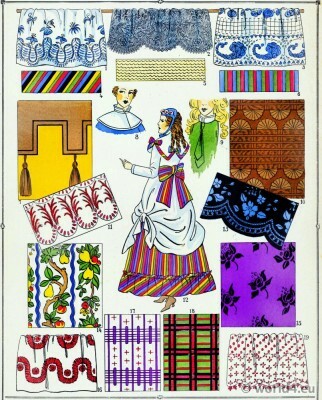 Indian Pattern Book. 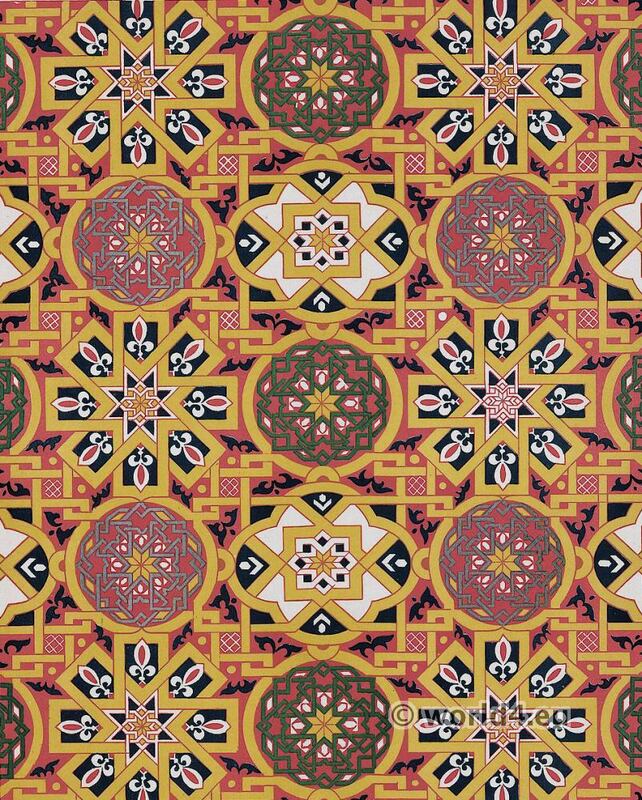 This entry was posted in 19th Century, Asia, Fabric, India and tagged Textile design, Traditional India costumes on 4/29/14 by world4. Flemish School Renaissance. 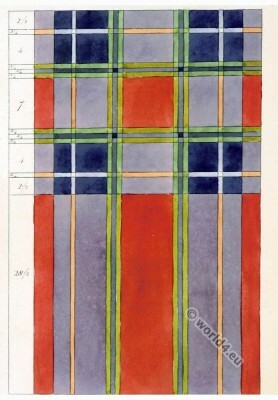 Fragment of a Tapestry. 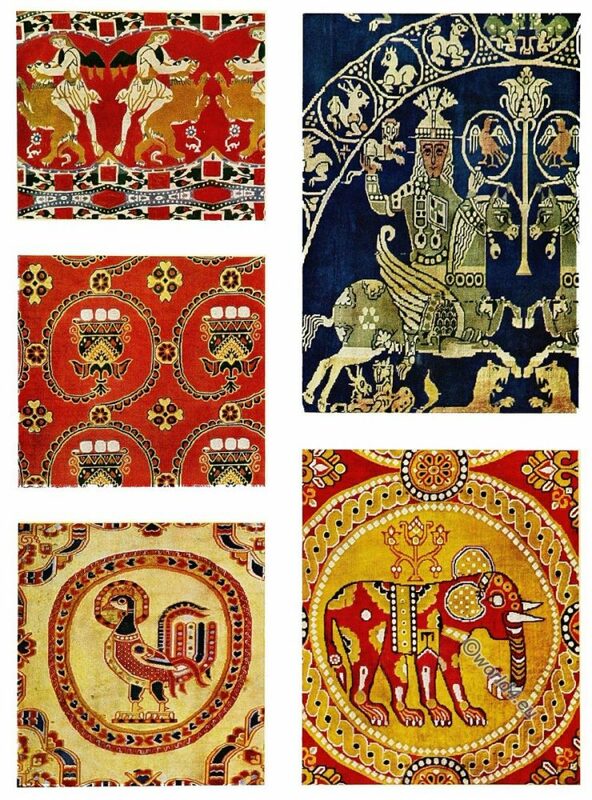 Altar frontal from the tapestry representing Beatrix`s marriage. 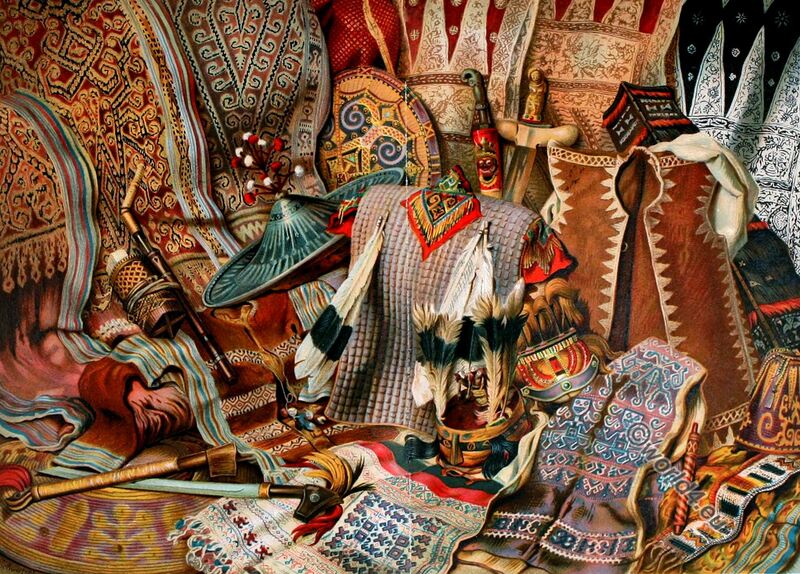 Collection of Sir Richard Wallace. 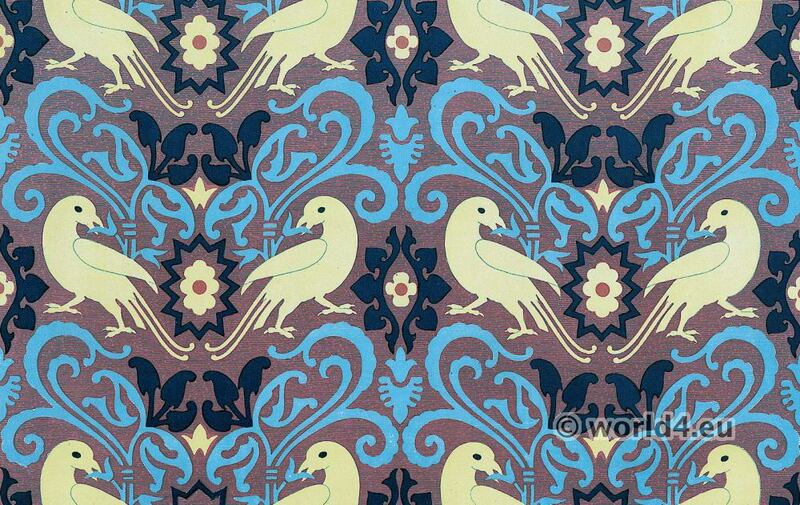 This entry was posted in 15th Century, Fabric, Netherlands and tagged Textile design on 4/10/14 by world4. 16th century Fabric two tone Italian School. 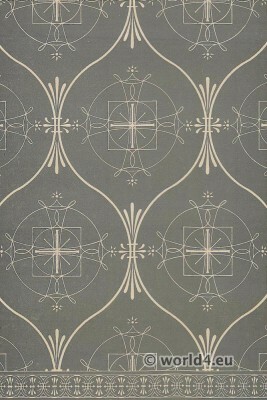 16th century Italian Renaissance two tone fabrics design. 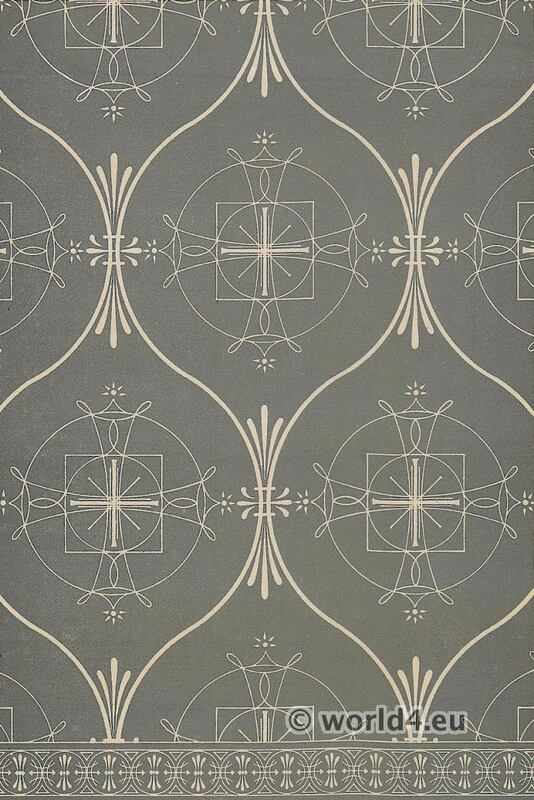 Circles with tracings most cleverly worked out serve as a base to the decoration of this tissue. 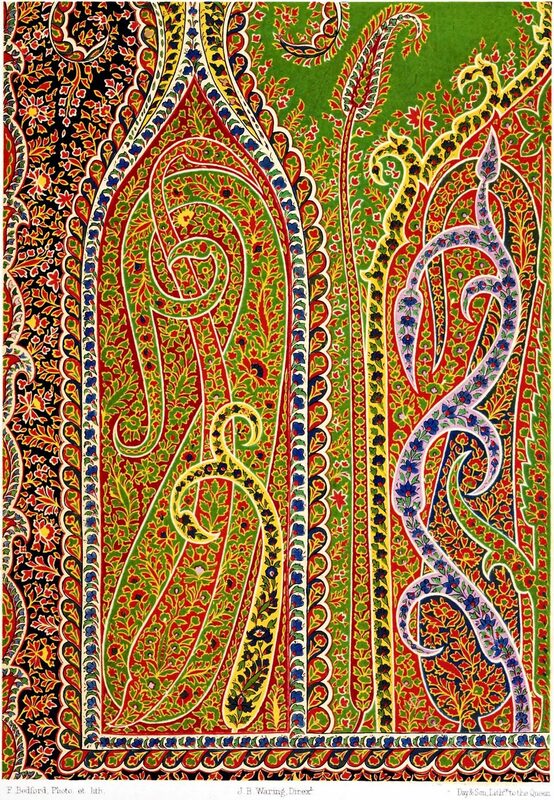 Geometrically shown as above, the ornamentation seems rather dry and meager. — But such is not the case when the tissue assumes the shape of the body and forms elegant fouls. 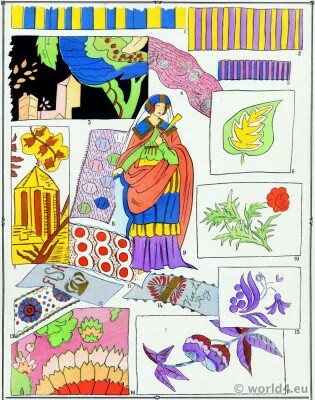 The border produces a charming effect. 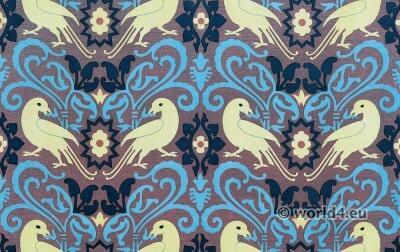 This entry was posted in 16th Century, Fabric, Italy, Renaissance and tagged Textile design on 4/9/14 by world4. 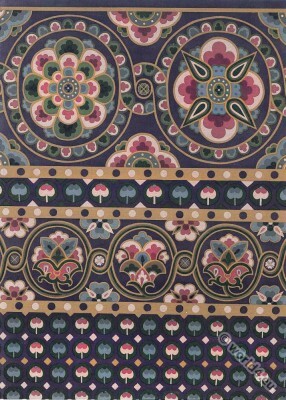 15th century Silk fabric. 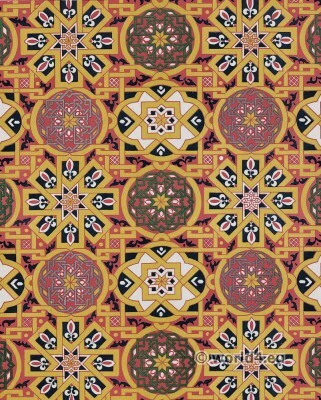 Arabic textil design. We very seldom find in Western tissues, stuffs or tapestries the variety and gorgeousness of coloring which presents the above piece of silk manufactured in the East. The luminous sky of the oriental climates requires as if it were, the use of vivid colors, and from the most remote times the Egyptians have accustomed us to those brilliant and bright tones, but always harmonious on account of the clever way with which they are blended. 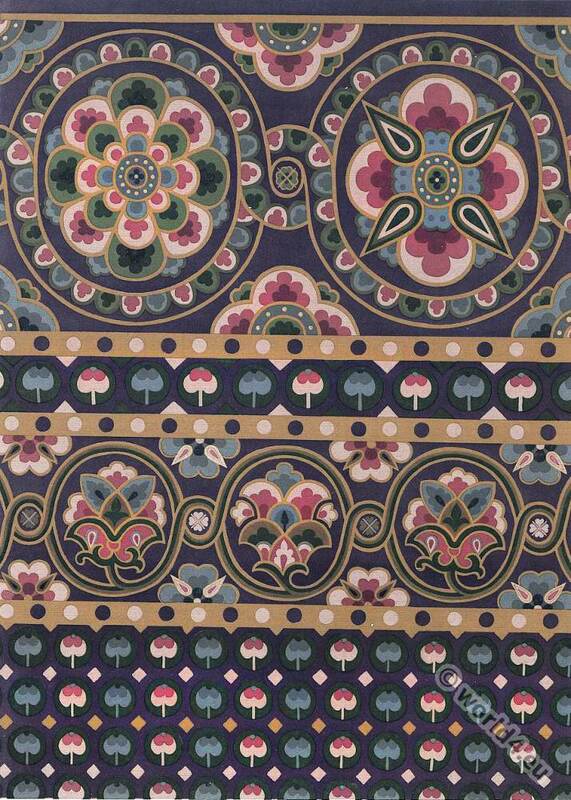 This entry was posted in 15th Century, Fabric, Middle East and tagged Textile design on 4/3/14 by world4.